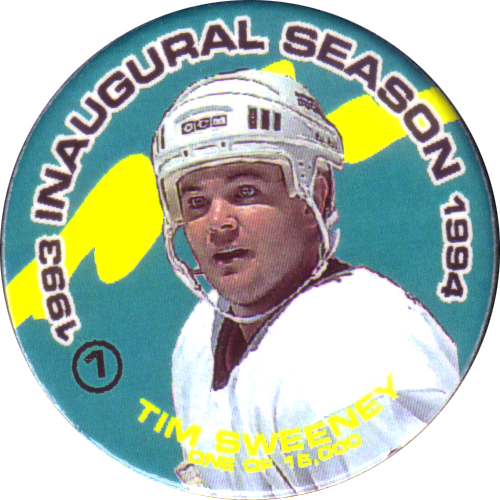 Info:Inaugural Season is The Premier Limited Edition Milk Cap Set of Orange County's Favorite Hockey Team. 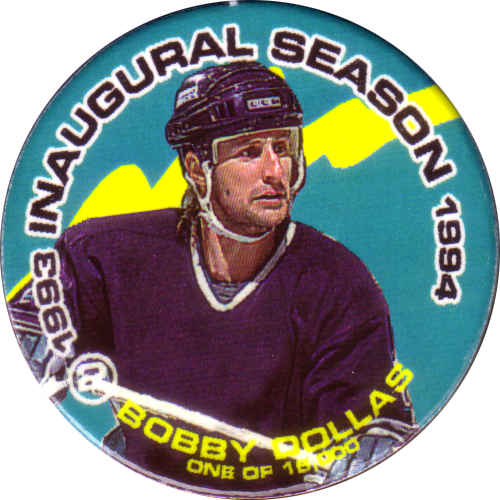 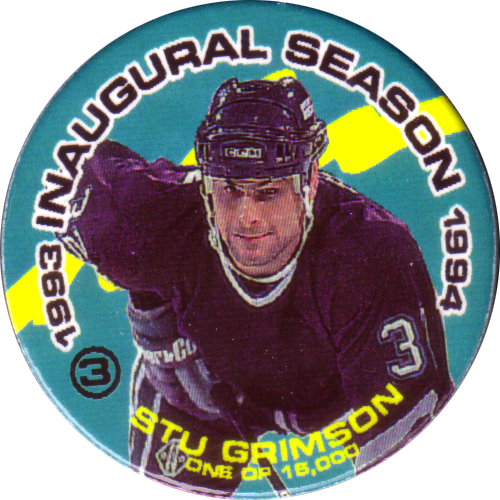 There were 15,000 sets of Inaugural Season pogs produced, and each set also includes a slammer. 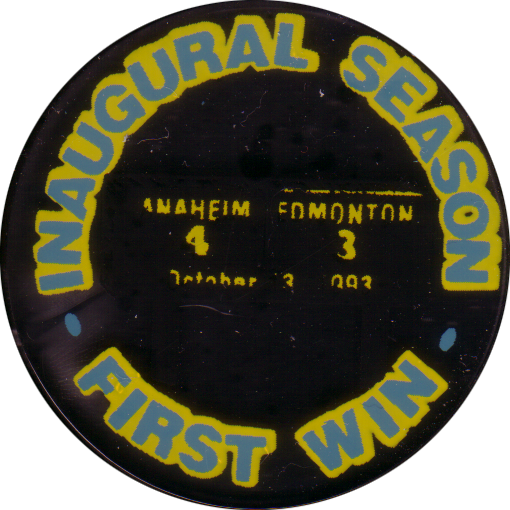 The slammer is printed with details of Anaheim's first win, where they beat the Edmonton Oilers 4-3. 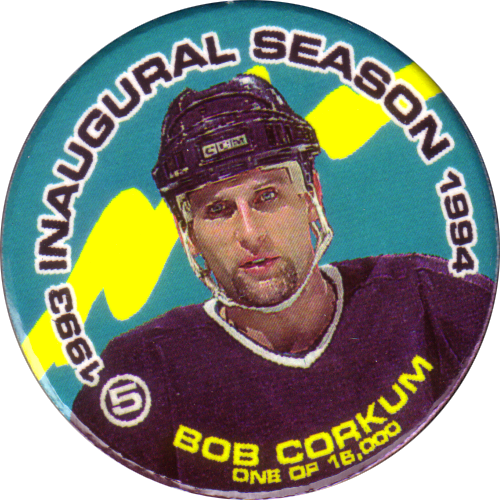 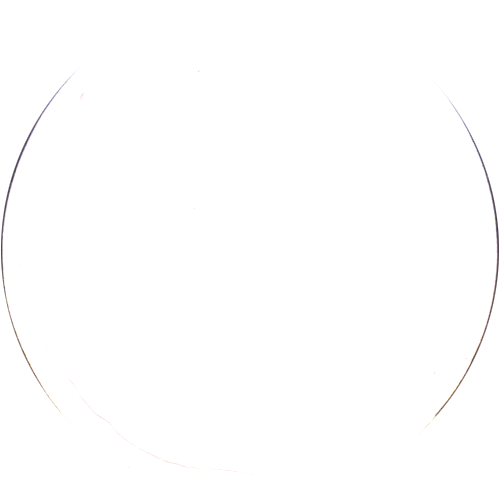 The back of each cap is unprinted. 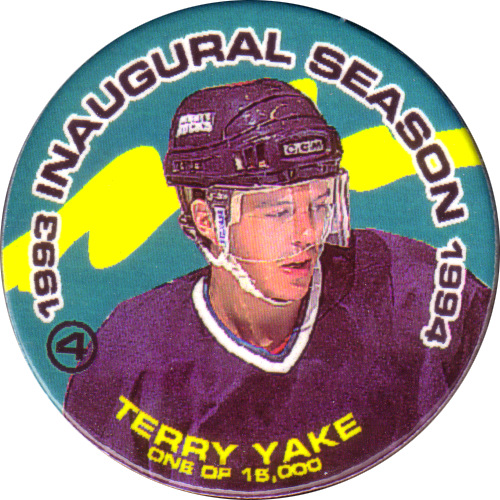 See also the Series 2 of Inaugural Season, which includes more 93/94 Anaheim players.